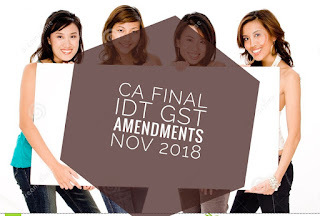 AS – 30, 31, 28,26,22, 17, 16, 7, 5,4 ,19 Valuation of Goodwill, EVA, Brand Valuation, Value Added Statement, Mutual Fund, Share based Payment, Bonus share and in last do amalgamtion and CFS. In starting do Derivatives, Foex and Portfolio marks cover around 40-50.After that do Merger & Acquistion surely 8 marks question will be asked. Now do valuation of business and security marks covered 16-20. Mutual fund will surely asked minimum of 5 marks so prepare it well. For theroy do Practice Manual as many times it will be repeated. And its better if you solve practice manual of SFM its will be great to do so. 1. Do professional ethics Ques. 2 will of this topic of 16 marks. 2. Prepare CARO, Form 3 CD very well surely question will be asked of this topics and of around 16 marks. 3. Prepare AS & SA. As time we can’t remember all content of SA so just remember title of SA. Important AS -4,5,10. 4. Question from Due delligence, Audit of PSU and Management & Operational Audit. 5. Question from GIC & Banking will be in this attempt and Audit in CIS. 1. Start with Chapter Directors. Around 30 marks questions asked out of it. 2. Now do small topics like Accounts & Audit, Dividend, Inspection and Investigation marks covered 12-20. 3. Now do Prevention of opperssion and mismangement and winding up marks covered 10-12. 4. Now do Companies incorporated outside India & Compromise, Arragements and reconstruction marks covered 8-12. 5. Now do allied law – Important are SEBI, FEMA, SRFAESI Act, Competetion Act & Insurance. 1. Friends start with OR part ( Important topics are LPP ( Simplex ), PERTS, Learing Curve & Transportation . Marks covered minimum 30. 3. Now do tranfer pricing and standard costing. Marks covered around 20 questions will be surely asked out of both topics. Standard costing will be easy in comparison to transfer pricing. 4. Now do Decision Making & CVP. In compulsory question you will surely find 5 marks out of it. And later on one 8 marks ques. at least. 5. Now do remaining topics. 1. Start with chapter 5,6 & 7 most easiest chapter n cover 30-32 marks. ( Important Topics – Threats, Risk Assessment, Techniques for risk mitigation and delphi technique, Disaster and procedure, Types of system backup, BIA, software backup techniques, ERP & its characterstics, Challenges in implementation, Kinds of business risks ). 2. Now do chapter 10 surely 10 marks question will be asked out of it. So make sure u do it properly. 3. Now do chapter 1,2 & 3. Around 40 marks question will be asked out of this chapters they are long chapters just make lil analize and don’t read those topics which were in last attempt. 4. Now do remaining topics which are easy ones. 1. Staright forward do case laws and amendments which are issues by ICAI. Marks covered 30-32 miminum even more. 2. Now do Capital Gain & Gift. Marks covered by this topics 15. 4. Now do Assessement of Trust and Companies. 8-10 marks question will be asked in exam. 6. Now time to do 4 heads of Income. I know you all thinking 5 heads in last to friends just once check previous paper not much questions asked out of it. Ques.2 of paper will be of PGBP but it contains all amendments so you can do PGBP from summary module. 1. Again in IDT you should start with Case laws and amendments. Marks covered 40. Question no. 4 & 5 will be of case laws only. And Ques.2 is full of amendments. 2. Now do Valuation of Customs, Valuation of Excise in Ques. 1 both will be asked for 5 marks each and even 15 marks topics this is. 3. Now do service tax and VAT. Theory and practical both will be asked out of this topics. In Ques.1 2 parts will be of VAT & Service Tax. 4. Now do CENVAT Credit and Export Procedures under Central Excise Act. 5. Now do Refund and Remisson and destruction of goods. 6. Now do remaining topics as around 20-25 marks will be out of remaining syllabus. ** For case laws and amendments buy supplementary book issued by ICAI & Amenements are provided in RTP.